Your sole provider for quality Agricultural Products. We export tractors and other agriculture equipment anywhere in the world. From rubber tire tractors, rubber belted tractors, grooming mowers, parallel arm cutters, tillers, box seeders, plows, pesticide tractors and more, we have it all! 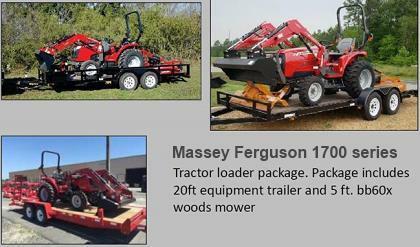 We carry a large new/used equipment and parts inventory for Challenger Tractors, Massey Ferguson Tractors, ABI Hose Reels, Rogator, Landpride, Diamond Mowers, Rome Plows and Supertrak for sale, lease and rent. We also offer tractors parts and service on the manufacturers we represent.